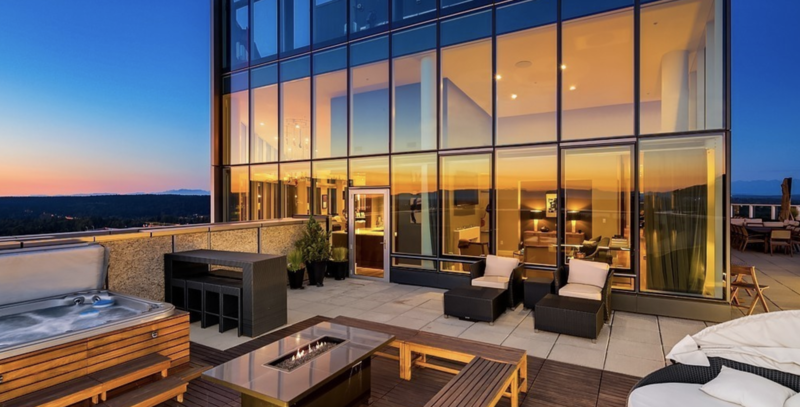 Mosler Lofts Penthouse number 5 just hit the market for $1,900,000. 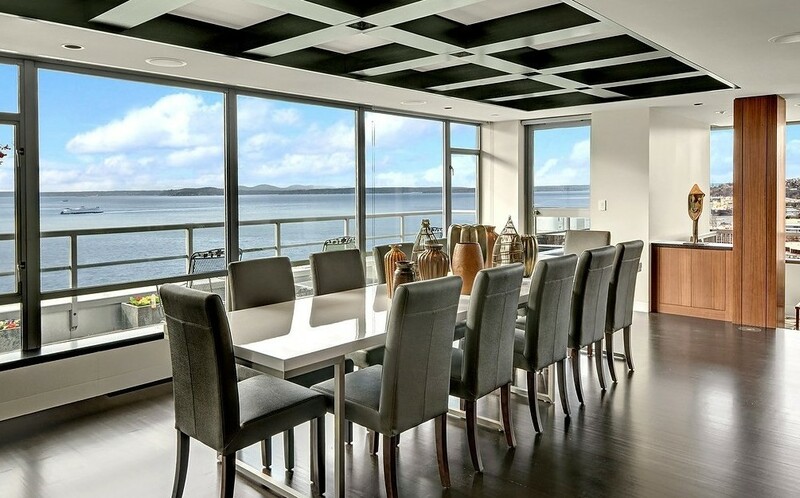 It is a pretty special unit with 12 foot ceilings, floor to ceiling glass and killer corner view with wrap around deck. 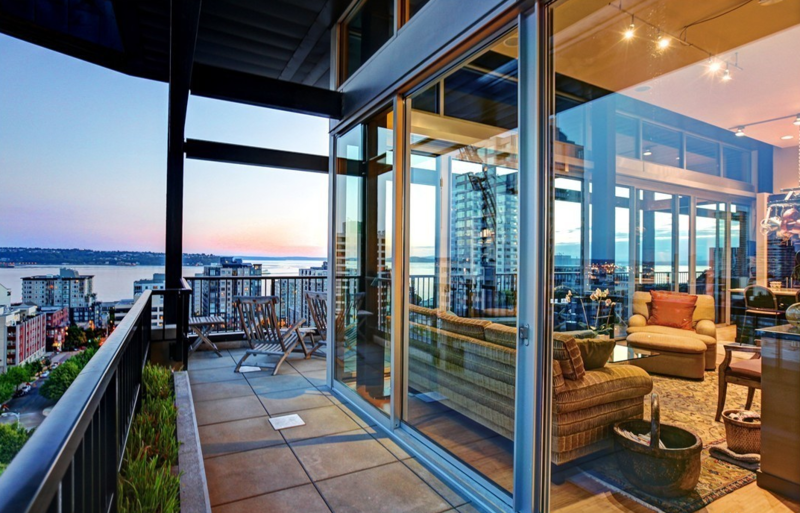 The outdoor space totals 450sf. 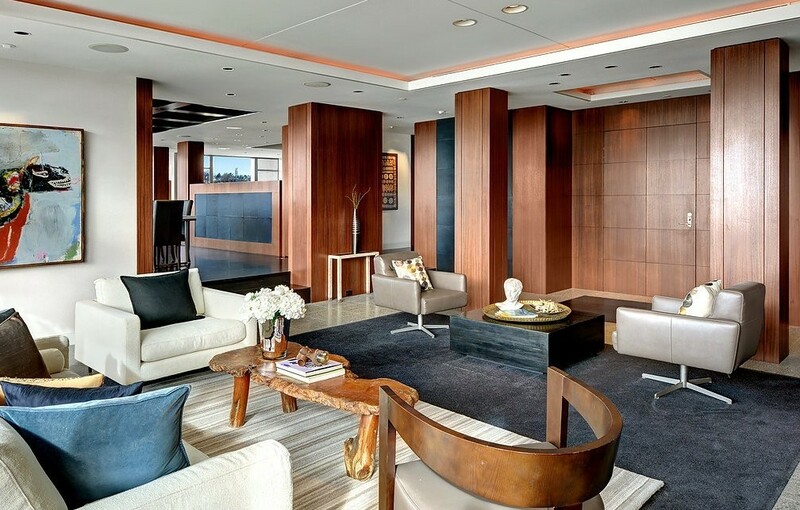 The 1,564sf interior offers a mix of steel, concrete and creative spaces throughout the unit. 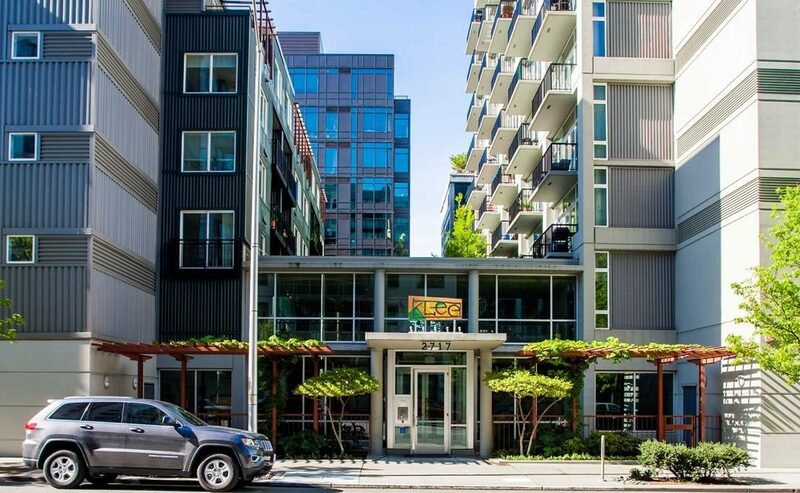 For those of you unfamiliar with Mosler Lofts, it is a 2007 award winning building located in the north-end of Belltown. There are 149 units on 12 floors. 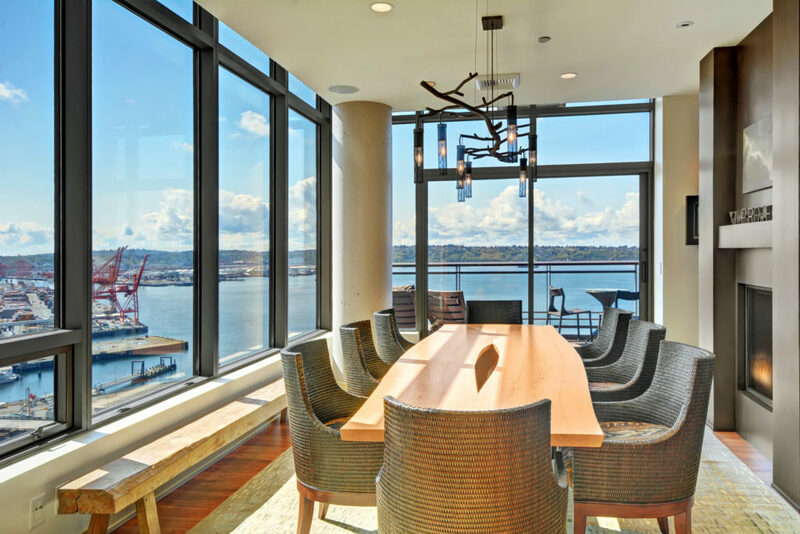 The amenities include a doorman, business, library, conference room, homeowners lounge, fitness facility and a super expansive rooftop deck. 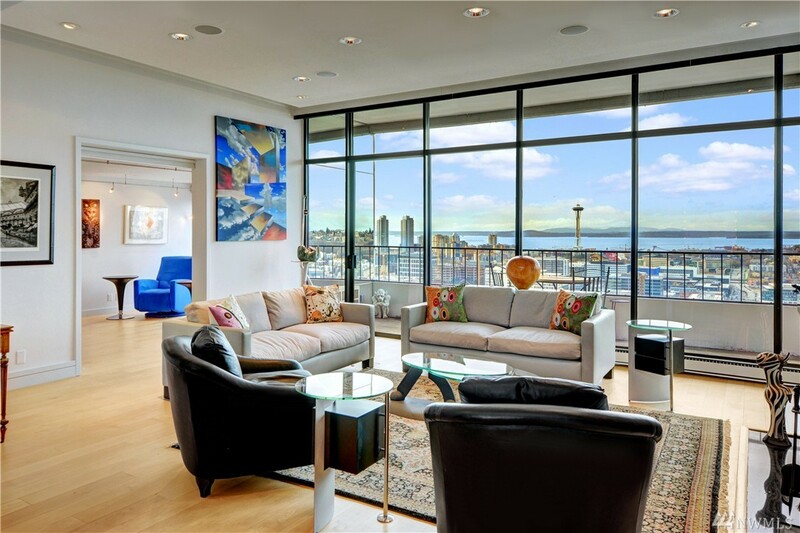 The unit last sold in 2007 for $1,560,000. The monthly HOA’s are $902. 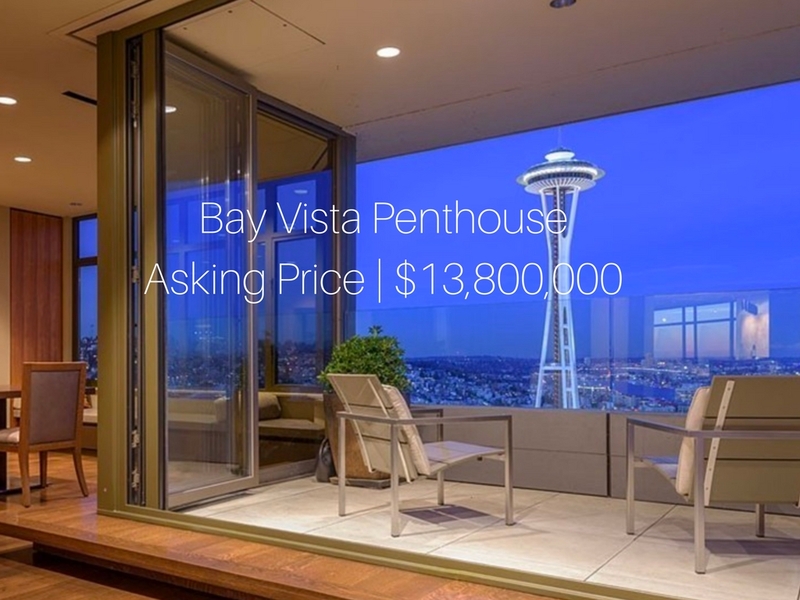 You might recall the $13,800,000 penthouse at Bay Vista that just hit the market last week. 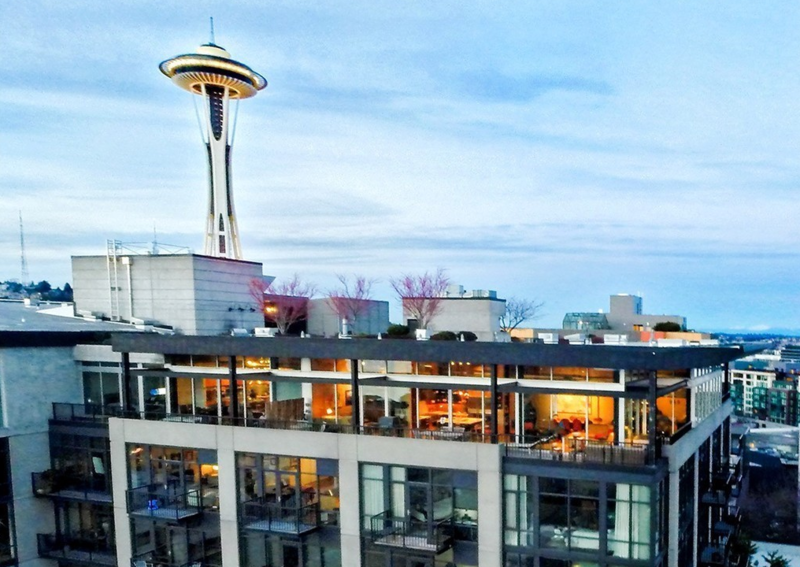 These two Seattle Penthouse units are just 1 block from each-other. You guys see this place? Just a cool $13,800,000. 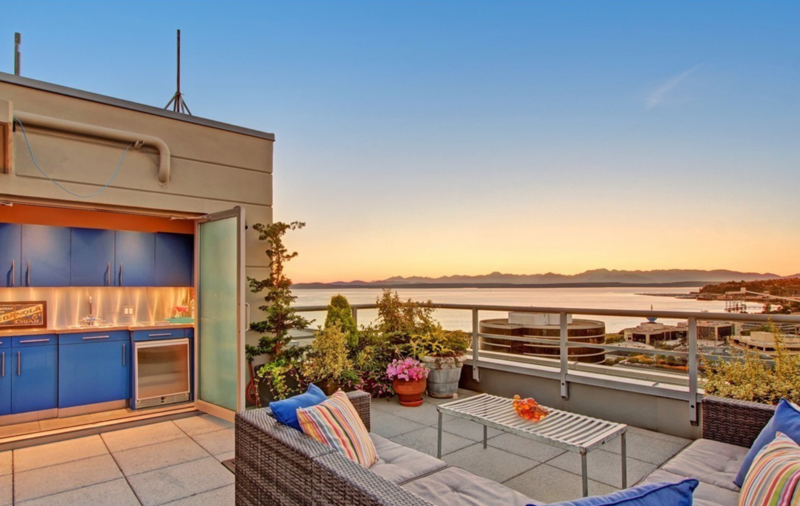 This luxury Seattle Penthouse condo just hit the market this morning. It was designed by Gregory Carmichael and Rick Sundberg. 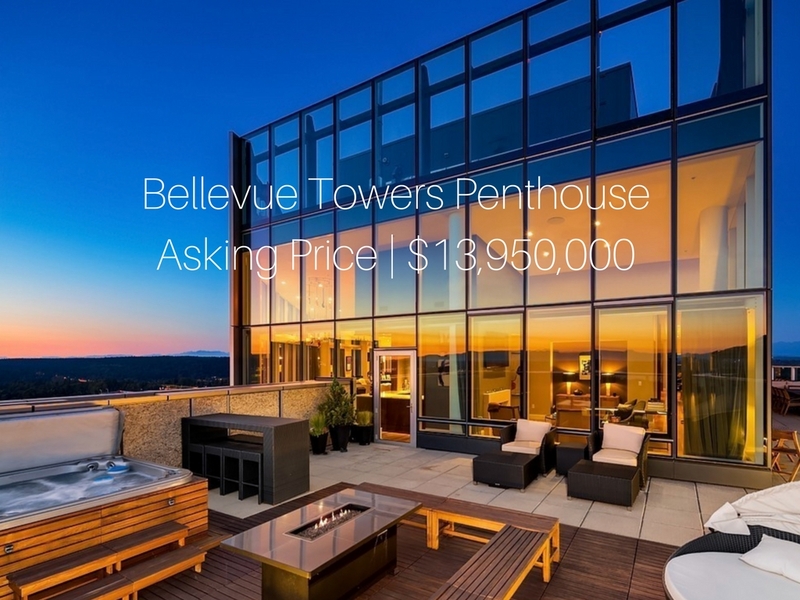 It sits 23 floors above the ground in the Bay Vista building in Belltown. 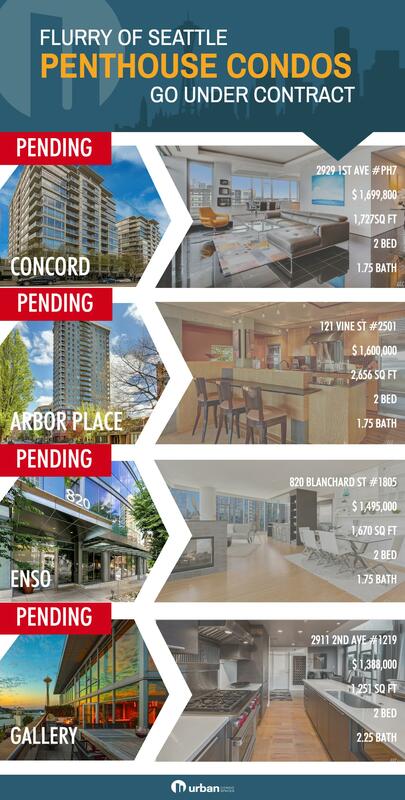 The space is nearly 6,000sf with 3 bedrooms and 4 baths! 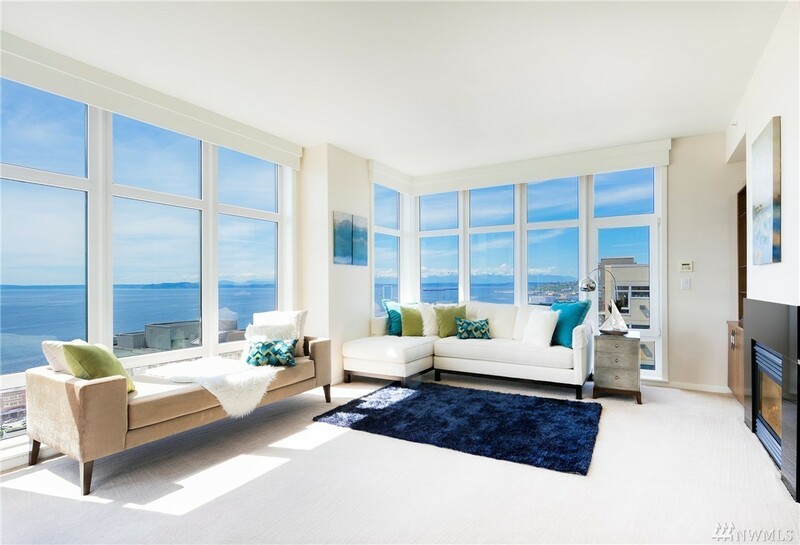 The interiors are pretty stunning and the view is incredible. 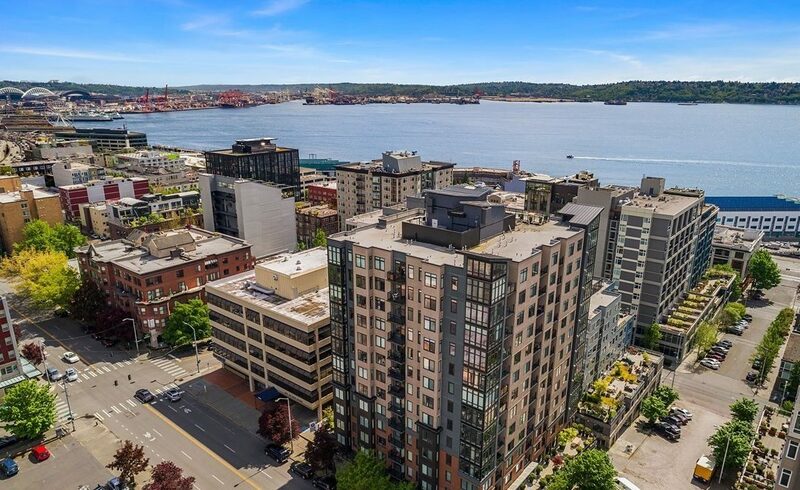 Quite a bit of Belltown is still underdeveloped, so the view corridors are pretty wide open. The interiors of this place are super cool and custom. 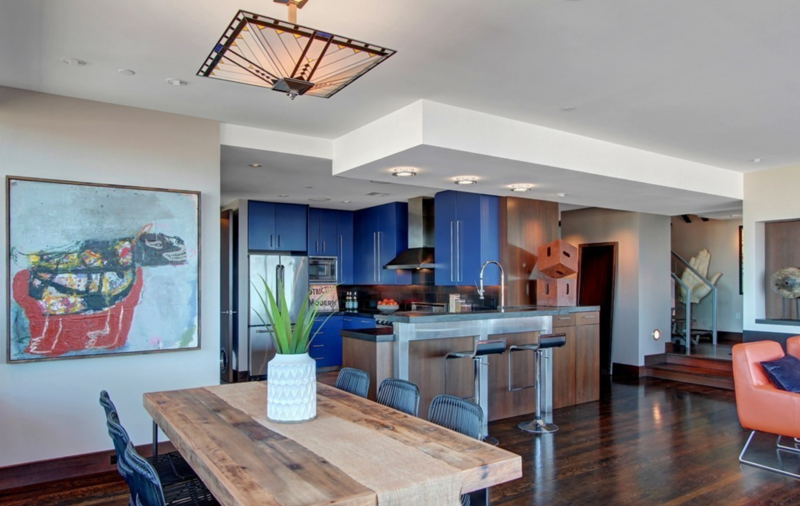 Lots of different textures both on the floors, walls and throughout the kitchen. The unit features a steel and glass stair case to the second floor. 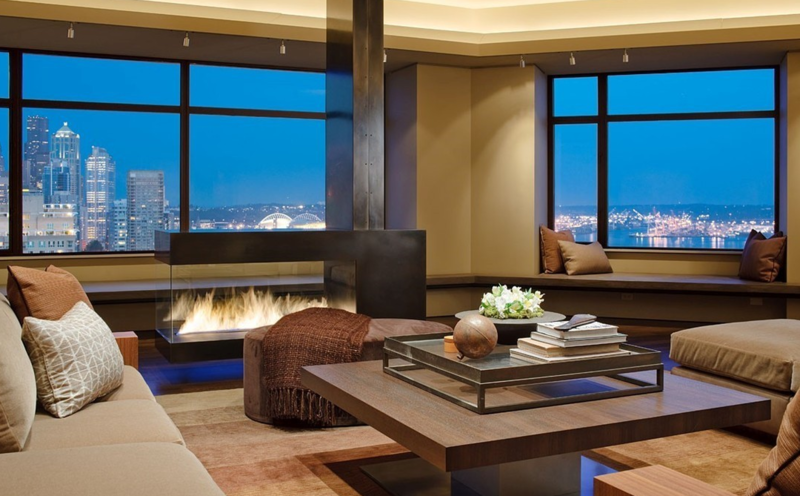 Not too many details left undone in this incredible Seattle Penthouse. 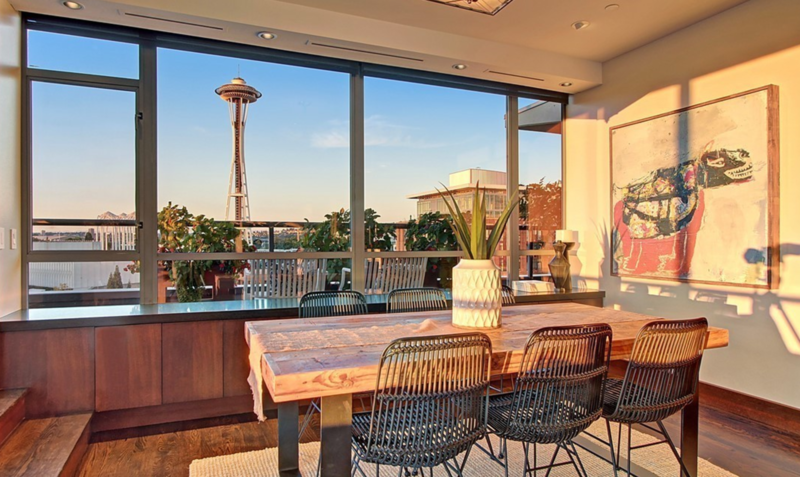 There is a new penthouse in Belltown that just hit the market. 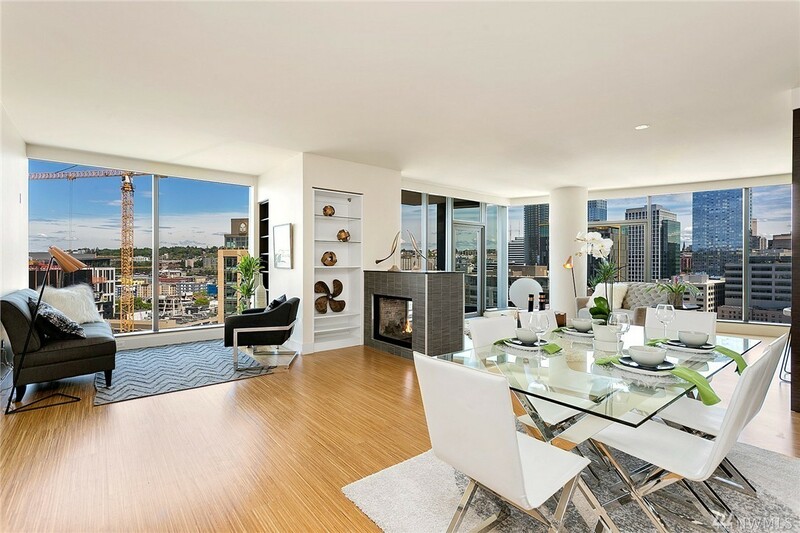 It is PH04 at the Klee – listed at $680,000. 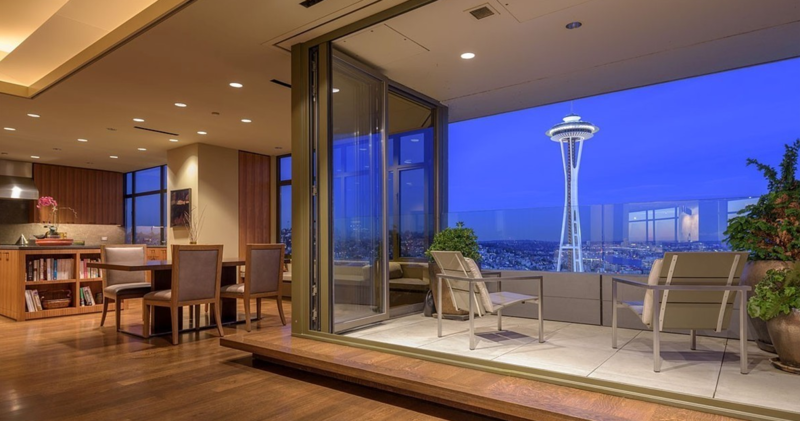 Seattle penthouse units come in every shape and size. 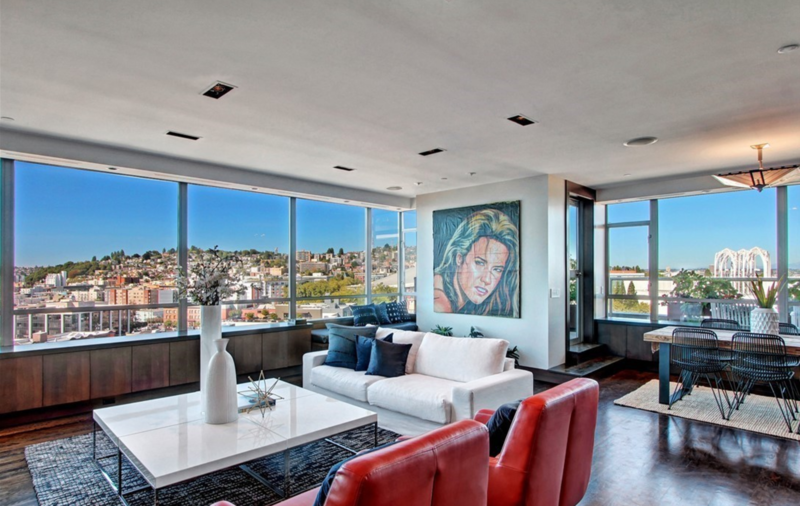 The Klee, much like The Parc that sits across the street offers a variety of penthouse options. 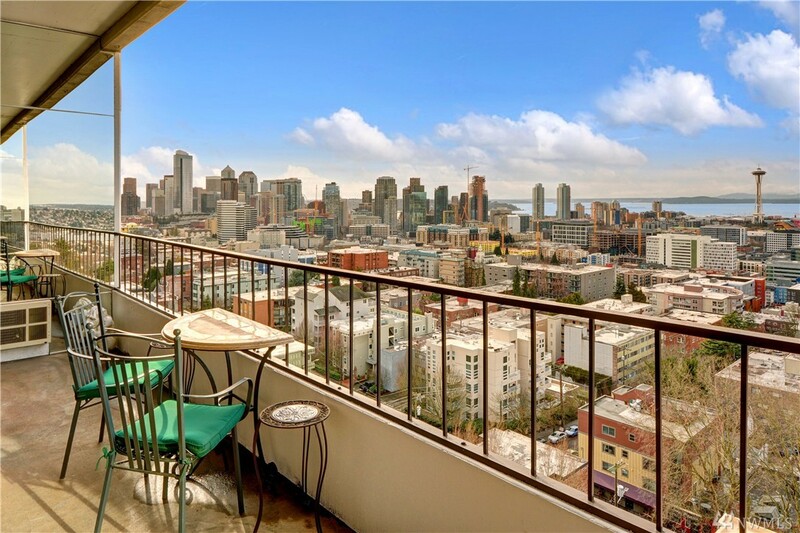 Some of the penthouse condos in buildings like these are not the typical penthouse that start over $1,000,000 and go up from there. 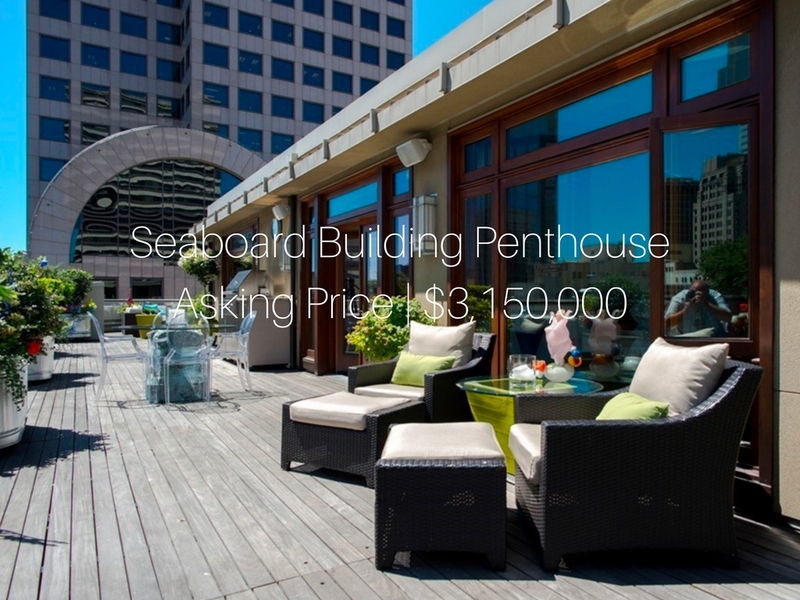 They are affordable options that still get the penthouse designation. Unit PH04 is one of them. 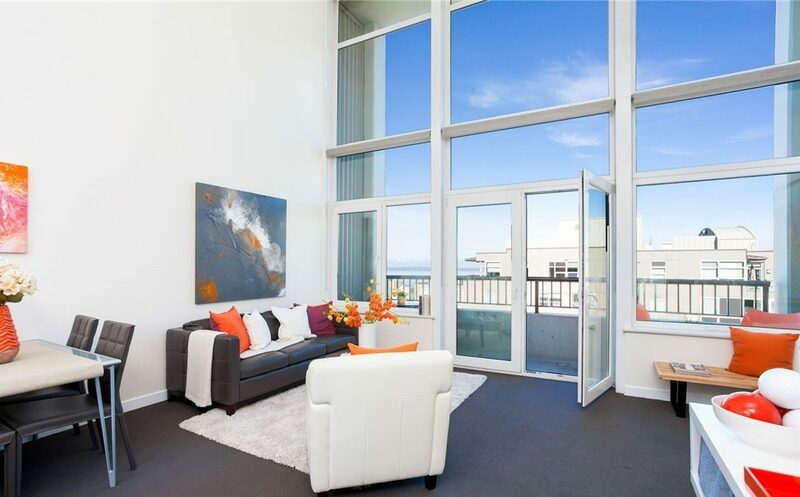 PH04 is a 2 bed, 2 bath offering 1,160sf. 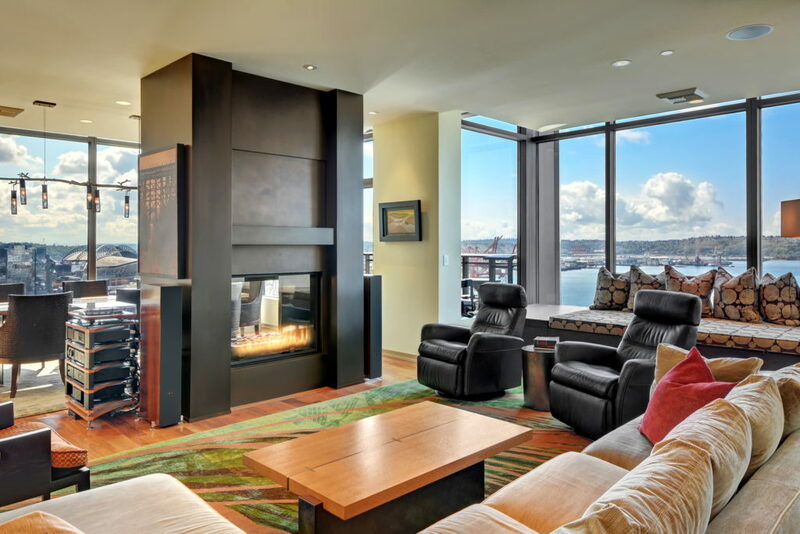 It has a unique two story layout with 22′ ceilings. 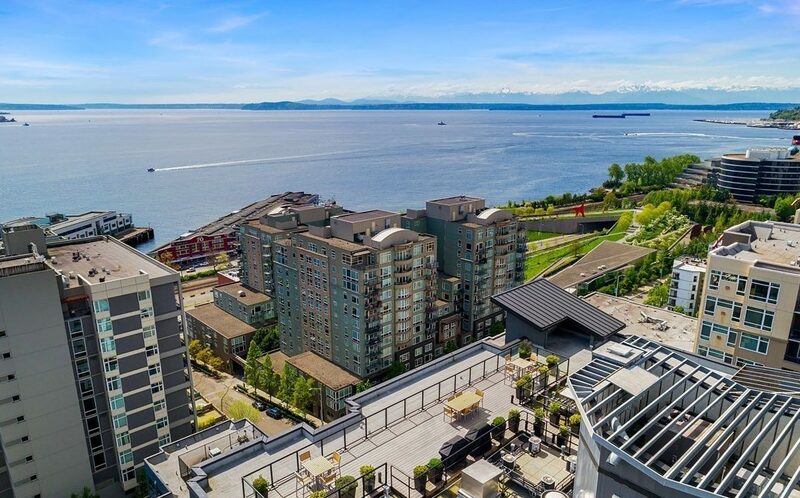 The deck features big views of Sound, the Olympics and the Sculpture Park. HOA dues include water, sewer, garbage and earthquake insurance. 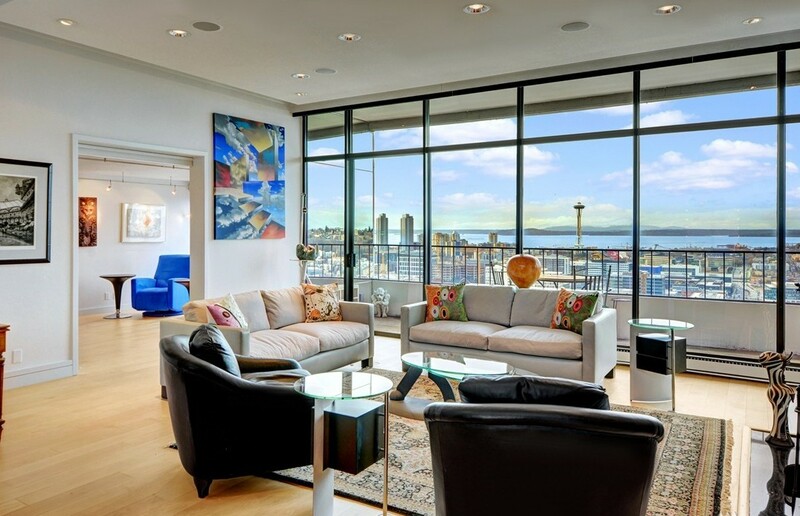 The Klee was built in 2001 and offers a wide range of layouts and pricing.